F. A. Graves with wife, Vina. Standing in the back are their children (l-r): Irene, Carl, and Arthur, circa 1920s. A heart-wrenching true story titled “Freddie’s Christmas” appeared in the Pentecostal Evangel 85 years ago this week. “Freddie” referred to Frederick Arthur Graves (1856-1927), the noted songwriter who became an early leader in the Pentecostal movement. “Little Freddie” began life as the son of a tailor, in a family of four boys and one girl. The family had weekly devotions and worship, and the children were taught to love and trust God. Freddie’s father worked long hours, going door-to-door to find work measuring and making clothes for men and boys. Eventually the work became too much, and he became sick and died. Freddie’s mother was frail and tried to care for the children by herself, but within three years she developed tuberculosis and also passed away. The children were farmed out to different homes. Mr. Hollis was very unkind to Freddie, often making the hapless young boy think it was his own fault that he became an orphan. Whenever cookies and other treats were shared among Mr. Hollis’ other children, Freddie was left out because he was “only an orphan.” When Christmas arrived, the children hung their stockings by the fireplace, and they had to beg their parents to let Freddie also have a stocking. Finally, the parents let Freddie put up a stocking next to the other ones. Freddie’s heart almost stopped beating — and then Mr. Hollis began to roar with laughter, slapping his knee and saying to his wife, “That is the best joke I’ve had in a long time!” And he continued to laugh. Freddie slowly picked up every shaving and ran to the barn as fast as he could. He climbed up into the hayloft, out of sight, and sobbed for a long time. Finally he talked with God and felt God’s comfort and peace, despite the circumstances. As it began to grow dark, he remembered there were more chores to be done, so he climbed down and faithfully went to work doing his chores. As he worked, the Lord enabled him to forgive the man who had been so mean to him. Not long after this incident, Mr. Hollis began acting strangely and became increasingly moody and unhappy. (Some whispered it might be because of his cruelty to the poor orphan boy.) Then one day he went out to the barn and hung himself. Freddie, who had known much heartache and grief himself, was able to whisper words of comfort to the widow in her loss. Later, she hugged him and told Freddie what a comfort he had been to her. The Lord helped Fred Graves to be a blessing, despite all the hardship he had borne. Years later he became a minister of the gospel, overcoming significant difficulties and receiving healing from epilepsy. He obtained ministerial credentials from Christian faith healer John Alexander Dowie in 1899 and transferred his ordination to the Assemblies of God in 1916. Graves’s testimony inspired him to write numerous songs, including “He Was Nailed to the Cross for Me,” “He’ll Never Forget to Keep Me,” and “Honey in the Rock.” Graves continues to make an impact through his songs, through the lives he touched, and through his influence on his son-in-law, Assemblies of God theologian Myer Pearlman. Frederick A. Graves’ Christmas testimony reminds us of the hardships faced by early Pentecostals, and also illustrates how God can bring beauty from tragic circumstances. Read Vina Graves’ article, “Freddie’s Christmas,” on pages 6 and 13 of the Dec. 19, 1931, issue of the Pentecostal Evangel. Cyril A. McLellan, a name synonymous with the former Assemblies of God Revivaltime Choir, passed away on Tuesday, May 19th in Springfield, Missouri, after an extended battle with cancer. He was 81. Born and raised in Vancouver, British Columbia, Canada, McLellan’s musical pedigree was impressive. 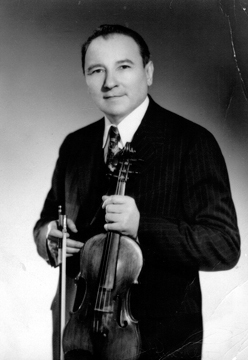 He held a performance degree from the London Royal School of Music, bachelor of arts degrees in music from Central Bible College and Evangel University, and a masters degree from the University of Missouri-Kansas City in violin pedagogy, where he also excelled in choral conducting. In 1958, McLellan became an ordained AG minister. 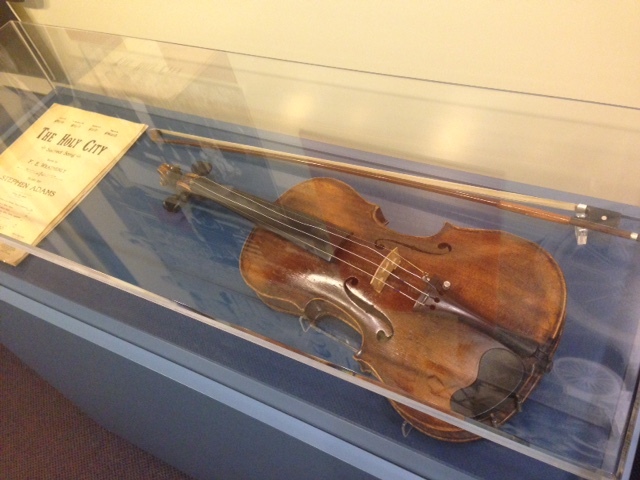 Being an accomplished violinist, he was also a member of the Springfield Symphony. McLellan traveled with over 100 choir tours and participated in approximately 1,700 radio broadcasts. 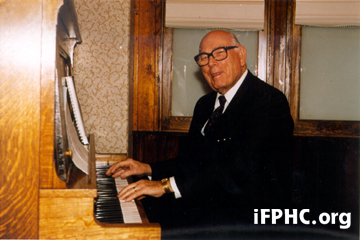 He produced 35 Revivaltime Choir albums and led more than 800 Revivaltime choir members. He completed more than 170 choir arrangements, including 75 octavos and 24 books as well as personal recording projects. McLellan received prestigious honors over the years, including: Central Bible College Alumnus of the Year, an award for artistic ability and leadership in music from Word Records, a SESAC award for outstanding achievement in music and ministry, a commendation for music and ministry at the AG 45th General Council (1993) in Minneapolis, and in 2001 he was inducted into the Assemblies of God Music Hall of Honor. He is survived by his wife of 55 years, Beth; two adult sons, Steve and Bruce; his brother, Arnold L. McLellan; and five grandchildren. Visitation will be held from 5 to 7 p.m. on Monday, May 25, in Greenlawn Funeral Home North, in Springfield, Missouri. The funeral will be at 11 a.m. on Tuesday, May 26, in Central Assembly of God, in Springfield. Alumni of the Revivaltime Choir will be singing “Room at the Cross” and “All Hail the Power of Jesus’ Name” at the funeral service. Memorial music scholarship contributions may be given to Central Bible College or Evangel University. Springfield News-Leader, in AG-NEWS, and in CBC Alumni News.